Dr Mukesh Batra, Padma Shri recipient, India's most-renowned homeopath, and Founder-Chairman of Dr Batra's™ Group, was honoured with the 'Lifetime Achievement Award' for his service in homeopathy by the World Medical Council (WMC), in presence of world leaders in healthcare at a glittering award function held in Dubai. World Medical Council is a non-profit forum designed for the continuous and conscious development of the medical industry. A panel of external experts which includes researchers, academicians, journalists, professionals and a Nobel laureate from the healthcare sector, awarded Dr Batra with the Lifetime Achievement Award (Homeopathy) for his phenomenal contribution in the Healthcare space through Homeopathy. The ‘Lifetime Achievement Award’ recognizes personalities whose outstanding career achievements have earned them national or international prominence. It also pays tribute to those who have demonstrated the highest level of professionalism and serves as a role model for current and future healthcare professionals. 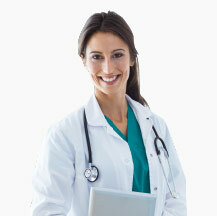 Dr Batra’s Health Care Group was founded by Dr. Mukesh Batra in 1982 in Mumbai. It is today the leading homoeopathic healthcare corporate in India, running 143 clinics across 73 cities, in India, Dubai and London. In 2009, the company introduced aesthetic solutions through its flagship brand, Dr Batra’s Aesthetic Solutions. It offers services ranging from hair transplant and obesity solutions to skincare. Dr Batra’s has made significant progress in the personal and healthcare products market through its well-established division, Dr Batra’s Positive Health Products. It has until now provided individualized treatment and care to over 7 lakh patients across the globe, including 3 lakh hair patients and 1 lakh skin patients. Dr Batra’s Cyber Clinic has been listed in the Limca Book of Records (Editions 2004 and 2005) for becoming the first-ever cyber clinic to offer online consultation to over 4.5 lakh patients every year. It has also launched the world’s first tele-homoeopathy clinic which offers real-time, multi-location connectivity to patients across the world. Dr Batra’s emerged as India’s only “Most Trusted” brand in the homeopathy segment in The Brand Trust Report – India Study 2013. It was feted as a Power Brand for the year 2012 by Planman Media. Dr Batra’s is also the world’s first homoeopathic healthcare corporate to receive the much-coveted ISO 9001-2008 certification. The brand is well known for its philanthropic work for the uplift of the underprivileged.